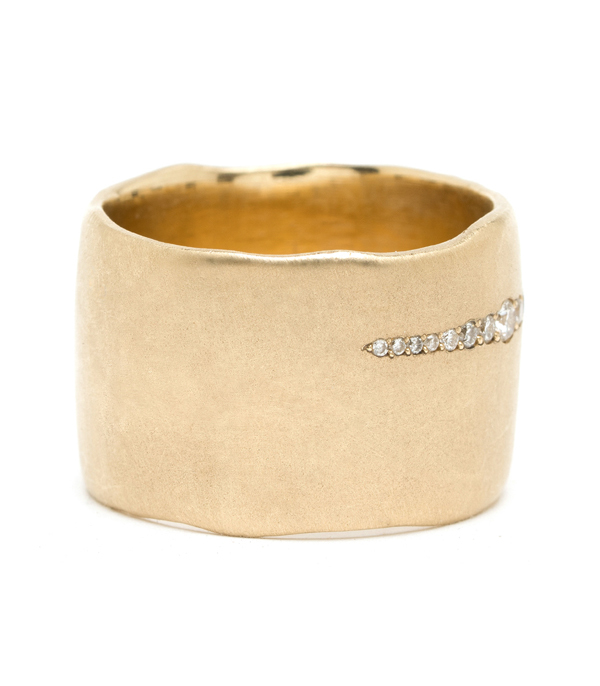 For a bolder look with a touch of glam. 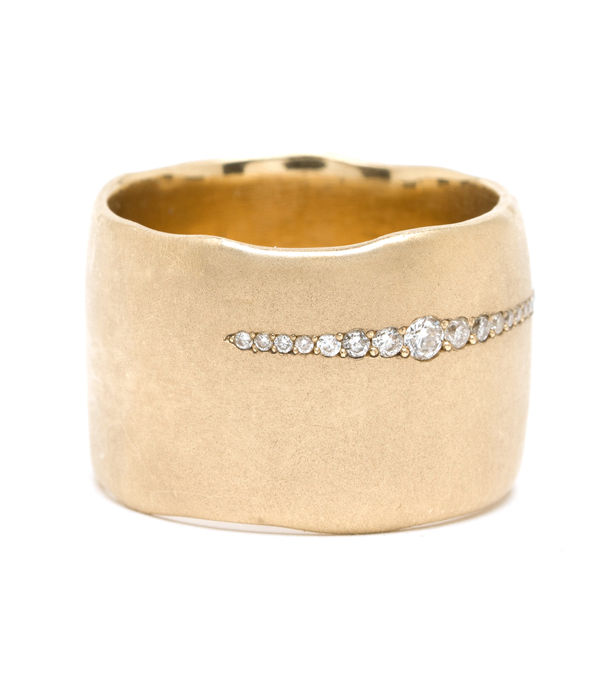 This 15mm ultra-wide band sheds an unexpected flash of light with a row of pavé set diamonds. 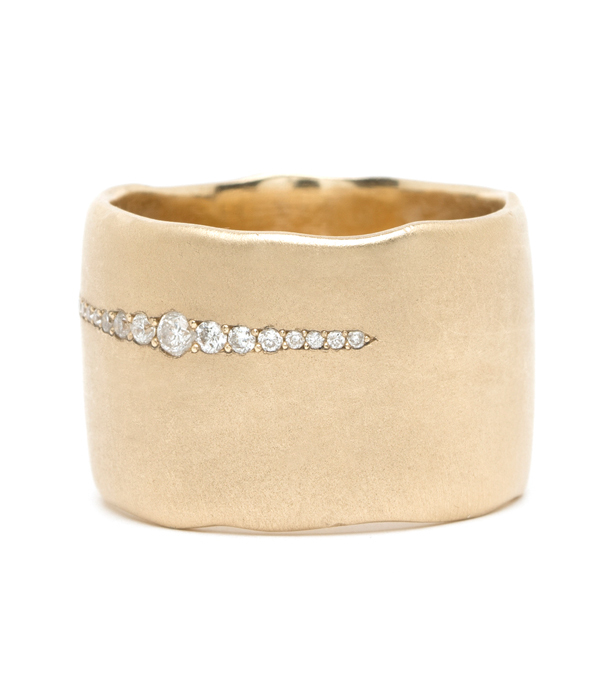 This diamond line gradually tapers and widens as it wraps around the ring, mimicking the paper torn edges of the band. A truly sophisticated and artistic piece! 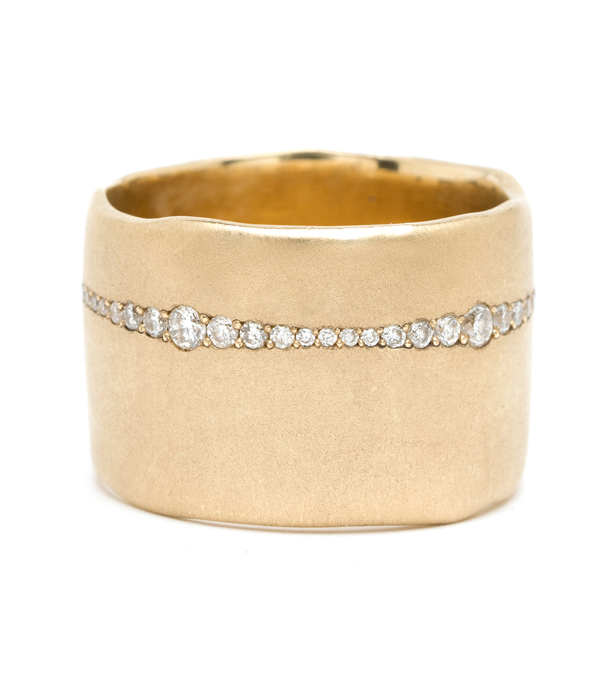 Because of the width of this band, we recommend going up one full size in this ring. -Ring Sizes: 6-9. Additional sizes available by special order. Categories: Rings, Torn Paper, Women's Wedding Bands.